We think there’s a reason to celebrate pasta every month, but especially during October a.k.a. National Pasta Month. We love pasta so much, some days it’s all we think about. One of our most favorite pasta types is the widely loved, ever versatile spaghetti. Spaghetti is the backbone of so many recipes and we want to celebrate everything about it, including the fact that it comes in a wide range of varieties. No matter your eating style or preference there’s a spaghetti recipe for you! Expand your taste and your recipe box with one of our favorites. Don’t fret if gluten isn’t your friend. 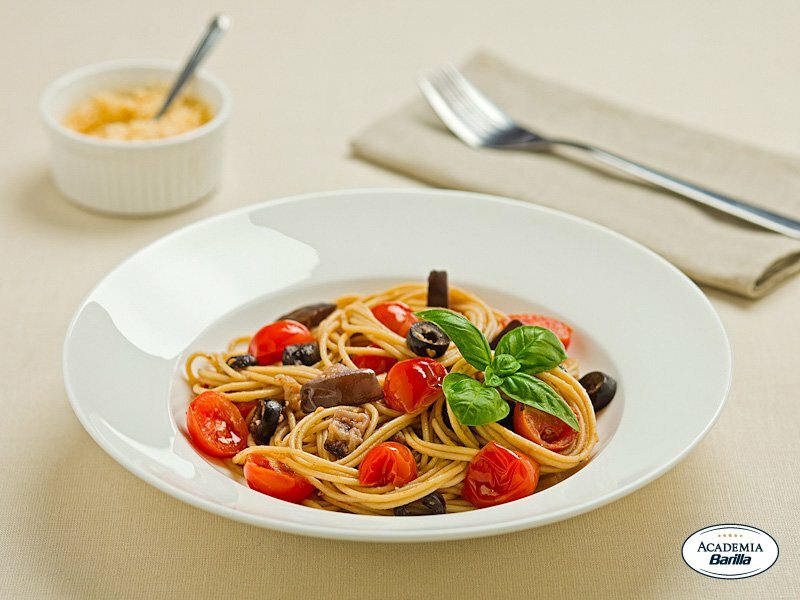 You can still bask in the comfort of a plate of pasta with our gluten free spaghetti. Paired with gluten free meatballs and sauteed tomatoes, this is one recipe you’ll make on a regular basis. 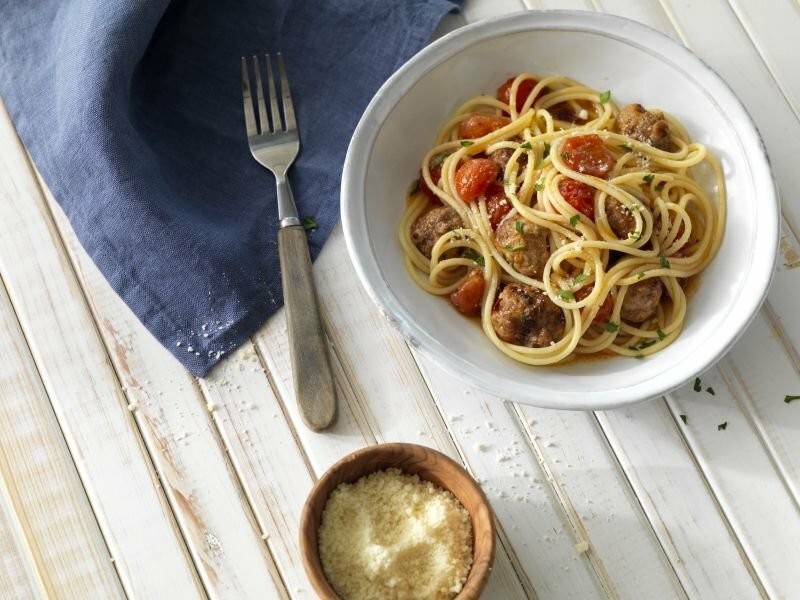 Recharge your pasta and protein game with ProteinPLUS spaghetti. Brimming with fresh veggies, and touches of olives and Pecorino, this recipe will keep you going through all your adventures. Pesto, spaghetti, meatballs. Three of the most delicious words we’ve ever heard, and proof that a classic spaghetti and meatballs recipe doesn’t have to have red sauce. Welcome fall and elevate your every day with Collezione spaghetti. Combined with browned butter, squash, sage and crispy prosciutto, this recipe is a celebration of autumn flavors.